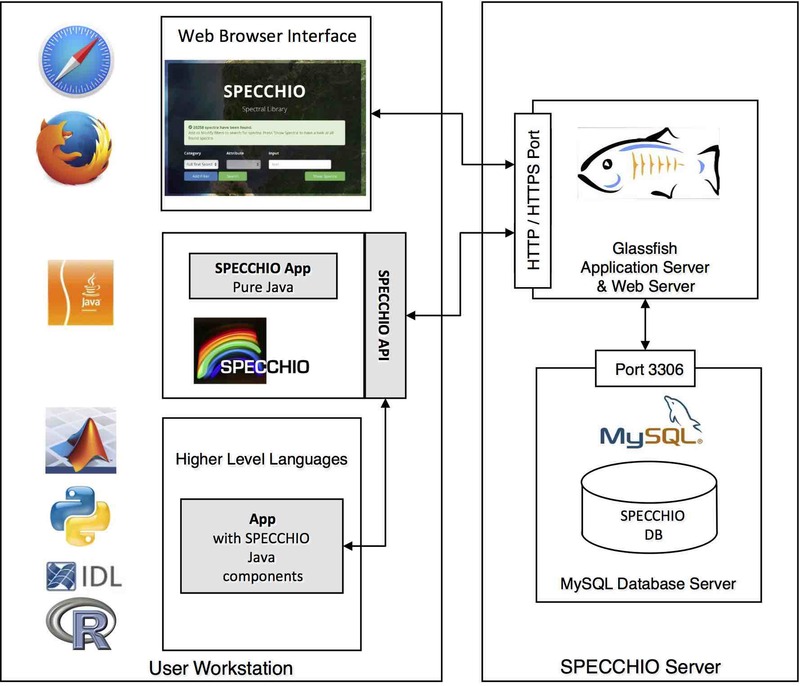 SPECCHIO is a spectral information system designed to hold reference spectra and spectral campaign data obtained by spectroradiometers. The inclusion of a rich metadata set in the data model ensures the longevity of spectral data and enables the sharing of spectral data between research groups. The Web Interface allows you searched the database directly for spectral data by web browser without installing additional software. Download the latest SPECCHIO Client Application. We have installers for MacOS, Windows and Linux. We also provide a preconfigured VirtualBox VM with everything installed you need. We provide guides with detailed installation instructions, technical background information and tutorials for the SPECCHIO client application. Furthermore, there are also guides on how to access SPECCHIO directly from Matlab and R.
Programmatic access from e.g. Matlab or R. Check out the tutorials and our extensive API documentation .